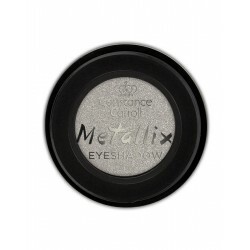 This rich and intensely pigmented eyeshadow with metallic finish will take your eyeshadow game to the next level! It is delicate with silky texture making it easy to apply. Colour applies smoothly and evenly and is crease-free for all-day wear without the need to touch up. Get ready for this new powerful make up experience!